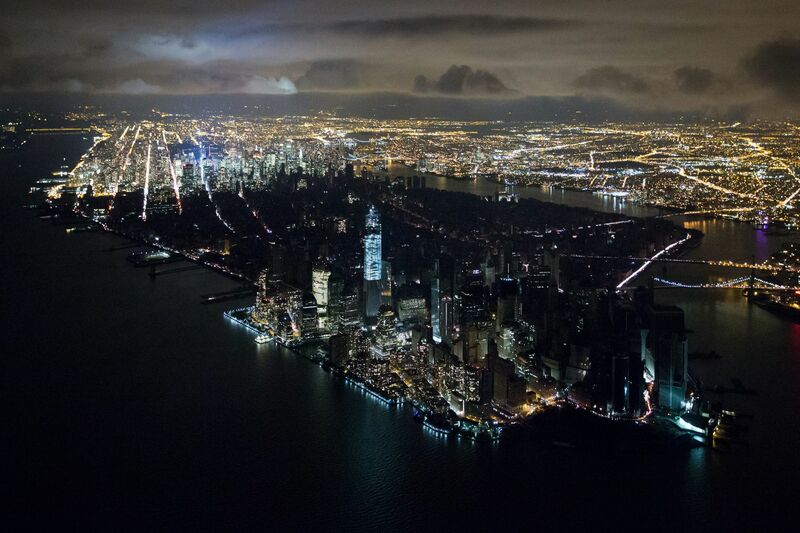 This week, New York magazine had a series of striking aerial photographs of the city’s blackout in the aftermath of Superstorm/Hurricane Sandy. Since the blackout covers such a large area, it works well for blob detection. Principle Component Analysis (PCA) can be used to determine the orientation of an object in space, i.e. what direction it is pointing. One of Greg’s examples used blog detection and PCA to show the direction of a pen on a table. I thought it might be interesting to apply this code to the image of the blackout to see what would happen. I ended up tweaking the brightness, contrast, and threshold values quite a bit before I was able to get a result I was happy with. When the brightness and contrast are set too high, it detects the lit area instead of the dark area. Higher threshold values change the location of the blob’s centroid. 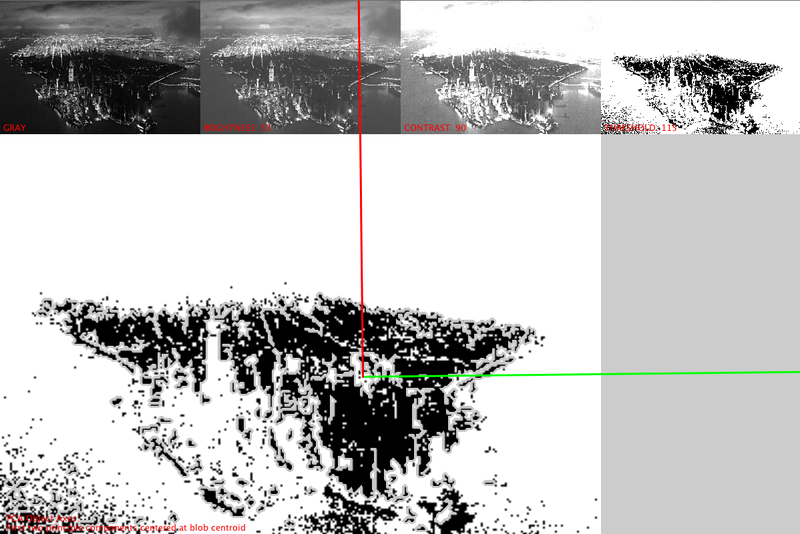 A few minor changes to these values can also change the perceived orientation of the blob. The tricky part is that I’m not entirely sure what the “right” answer is. I ended up settling on the up orientation (where the heaviest part of the blob is considered the “top”), since it is closest to the north/south orientation of a map. It is tilted in space a bit as a result of the way the photo was taken, and ideally this would probably have made more sense with a photo taken directly from above. Either way, the result is interesting to look at. The code is below. Additional components on Github.